Laugh Out London Live! Friday 13th Jan! Camden Head! THIS THURSDAY! LAUGH OUT LONDON’S EARLY CHRISTMAS PRESSIE!!! 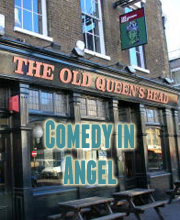 Laugh Out London Live Tuesday 22nd Nov!